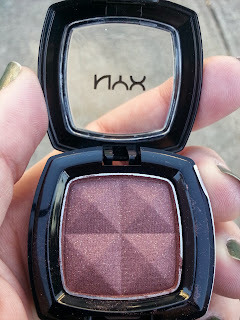 When I first received my Ipsy bag this month and saw the NYX eyeshadow, I instantly thought the shade resembled the Mica eyeshadow I got the month before. It was hard to see the shade correctly due to the dim lighting in my apartment, so it appeared to be a light brown shadow. 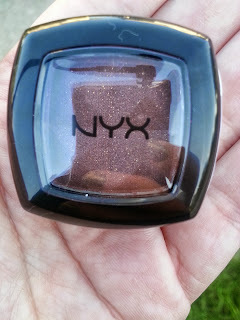 But after further investigation, I found out I was wrong about this shade and had to share it with you! 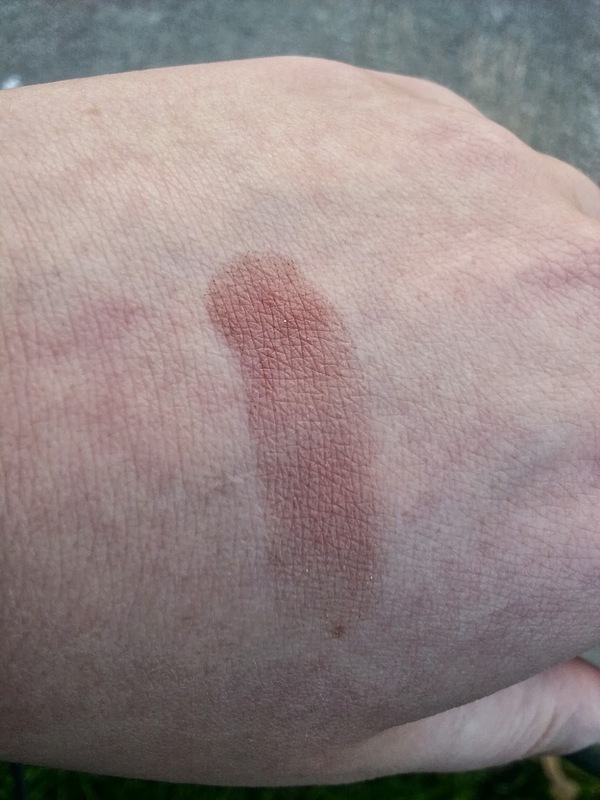 After I had read online that some people were concerned that their eyeshadow color was expired or discontinued, I decided to look into the shade I received. NYX Cosmetics has said that the shades sent in the Ipsy bags are not expired in any way, but some of the colors are now completely sold out (Beauty Queen being one of them). After looking up the shade on the NYX Cosmetics website, I've come to find the color isn't a brown at all! Beauty Queen is actually a deep plum red with silver glitter!! You can see the gorgeous color quite easily in broad daylight! The eye shadow felt silky, so I expect application to be smooth. I can not wait to see how it looks on my lids with a bit of eye primer! 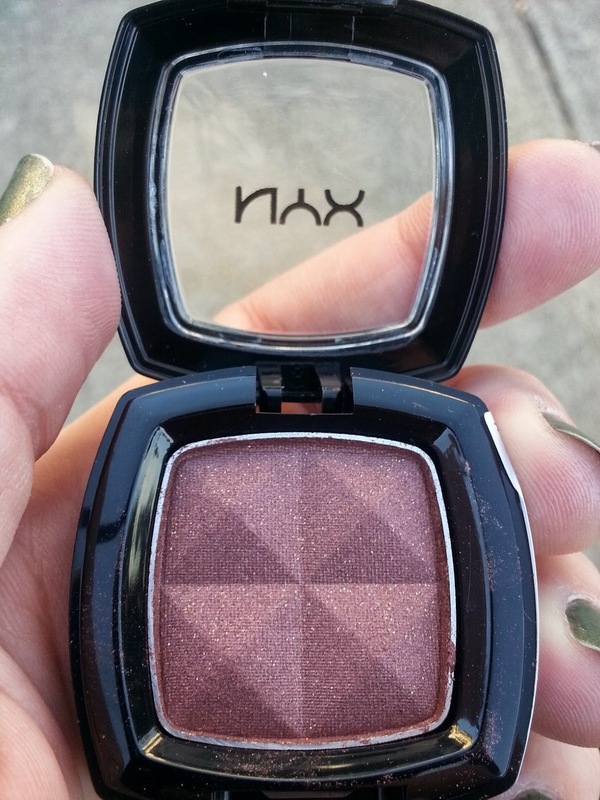 I am so glad that I got the chance to try out this eye shadow! Thank you NYX and Ipsy!! Are you a fan of NYX Cosmetics? What do you think of Beauty Queen? If you subscribe to Ipsy, which shade did you receive this month?